Two years ago, this 64 year old woman underwent excision of a retroareolar intraductal papilloma that contained atypical ductal hyperplasia. 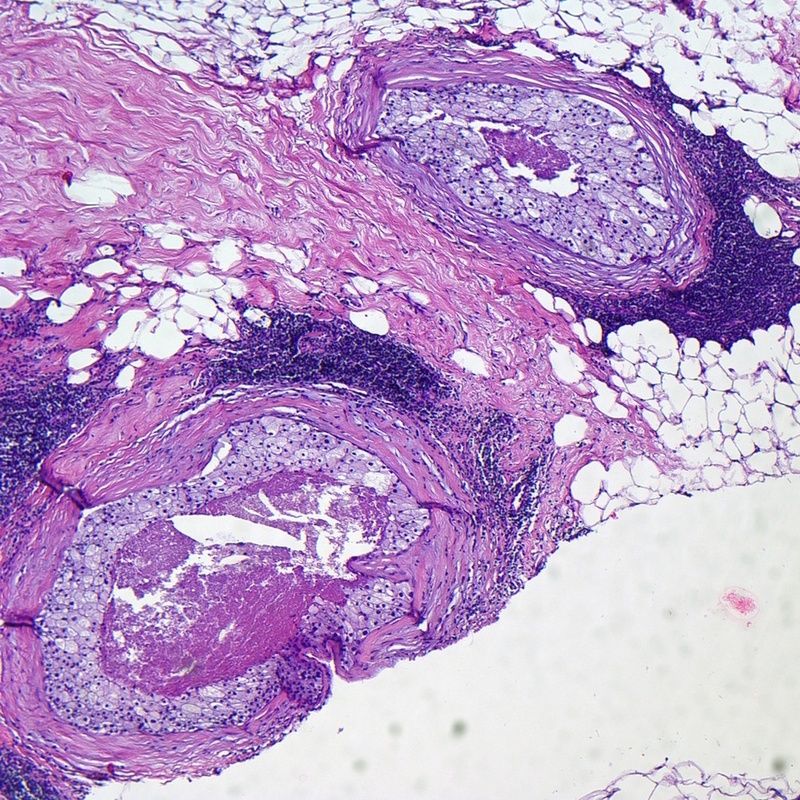 The case presented below is from a current axillary biopsy. 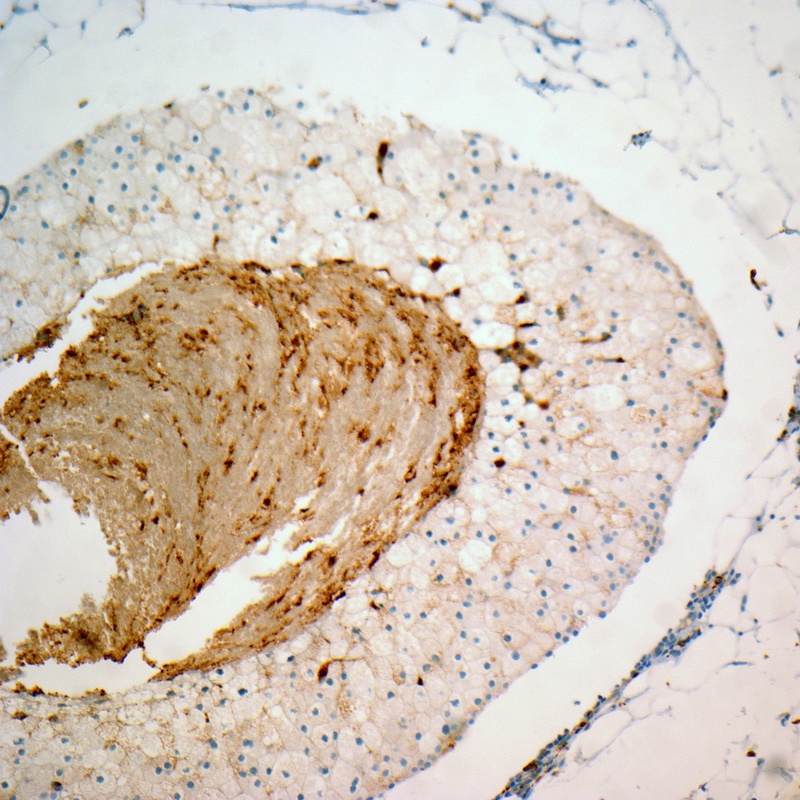 A 46 year old woman was diagnosed with ductal carcinoma in situ on a core biopsy specimen; the case presented is from the excisional biopsy specimen. A 46 year old woman underwent a core biopsy because of a nodule detected on imaging studies.